The rules are, there are no rules at Extreme Pro Quads shows! 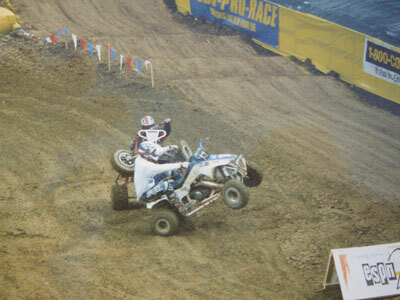 Be it on a dirt course or on concrete, this is the tightest, bar to bar, wheel banging, high speed passing quad action around. Adrenaline is flowing as these Pro Extreme Pro Quad riders battle it out for first place and more importantly bragging rights to be number one. 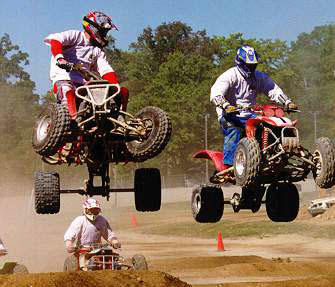 An Extreme Pro Quads performance is great entertainment for the entire family. 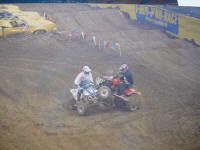 A typical exhibition consists of two Heat races; a Main race and on occasion a Grudge match will develop out of the Main race. 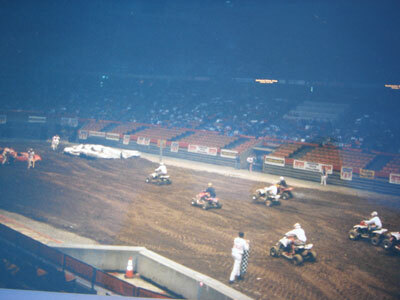 These are the best Pro Quad racers from across the country competing in teams of four to five riders each against each other at these shows. 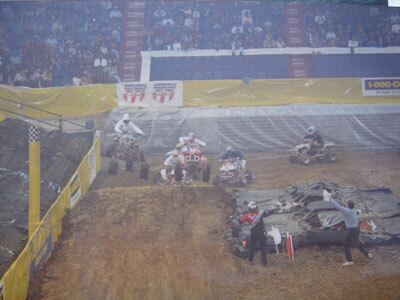 This is a point’s series event, raced across the country with points being awarded to the first three riders to cross the finish line. 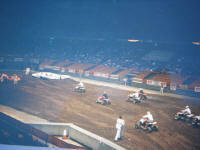 Heat races are run to qualify racers for the Main and designate starting positions. 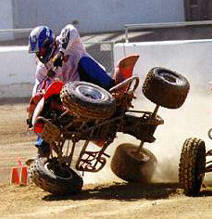 Some riders may not qualify for the Main. The number of laps for each race is determined before each race. With the adrenaline peaking and attitude flying in the Main, altercations have been known to break out between rival teams during an Extreme Pro Quad show. 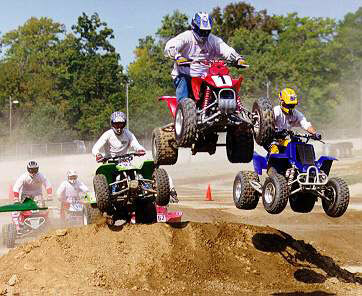 Challenges will be issued and a Grudge match can be set up between two rival racers to determine who is number one at this Extreme Pro Quad performance. 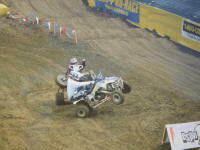 You will usually find Pro Quad races running in conjunction with other exhibitions and races that are going on. 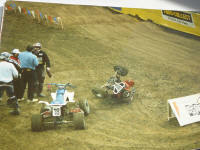 They usually break up another show giving them time to rest or make necessary repairs to their vehicles. Come down for the autograph session and have an opportunity to get your picture taken on a real Pro Quad with your favorite racer. They are more than happy to answer your questions, pose for pictures, and give you an autograph.